Christmas is getting ever closer and we all want to create those memorable moments with loved ones and friends. The centerpiece of it all is usually a Christmas tree. However, cutting down a real tree has become an untenable choice globally. We are not only talking about the scarcity of real trees but also their high cost of just about everything. From cutting them down, to set them up in your house, to disposing of them. Nobody really wants to go through all that trouble when you can get yourself an easy way out with either of these artificial Christmas trees. 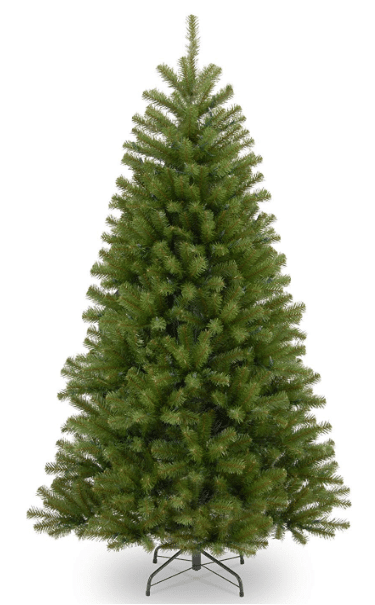 They have also become popular with individuals who want real Christmas trees but do not have access to them. Whichever category you belong to, this review has got you covered. Why you need an artificial Christmas tree? 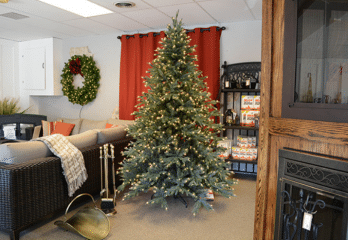 National Tree Company has gotten deep into research and client recommendations to create this gorgeous artificial tree. It stands at 7.5 feet with a width of 58 inches in diameter. Due to its sheer size, this tree is split into three parts. This helps in moving this humongous tree around and storing it. Christmas Tree comes in a package that doubles up as a storage carton when the tree is not in use. 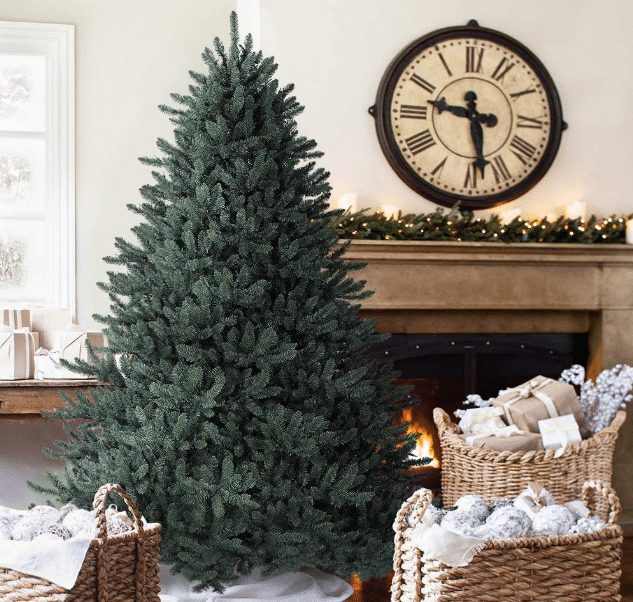 The metal-hinged construction ensures you get a tree that will stand strong for many festivities. National Tree Company exudes confidence in their tree with a 5-year warranty from the time of purchase. A foldable metal tree stand is included in the packaging. This artificial tree is fire resistant. The stand out feature in this artificial charismas tree is its shape. At 7.5 feet, it only has a width of 30 inches in diameter. This makes it stand out from the pack as more lean, a shape which some want in a Christmas tree. The advantage of this is that it will stand tall and proud in a tight corner or small office spaces. In the packaging, you also get a metal stand to hold this artificial tree in place. With a hinged branch construction, putting up this tree or disassembling it is a breeze. National Tree Company provides for a 5-year warranty on the tree. Its branches are non-allergic and flame resistant. 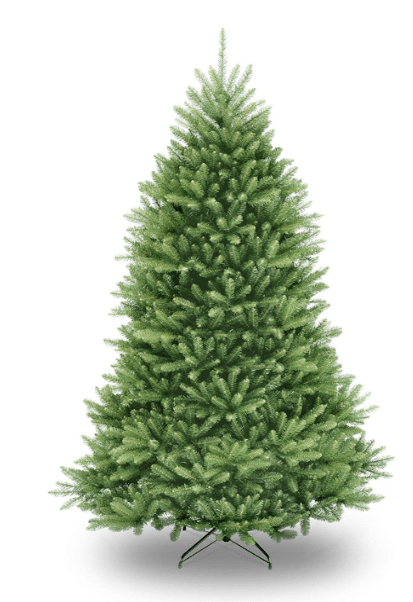 For those looking for a well-rounded Christmas tree, National oil has got you covered. Their artificial tree is so easy to set up. Just pile its three different compartments and secure them tightly with their hinges. Next, fluff the branches apart to let them spread around like a real tree. Artificial Christmas Tree looks so surreal, that you may get cuts from its leaves like a real tree. Just make sure you wear gloves when assembling it. The authentic look on this tree makes it a worthy purchase. People consider it a giveaway. A folding metal tree stand is included in the package. At 52 inches in width, a wide area is covered for a grander look. 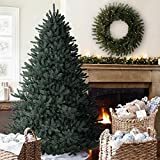 This great looking artificial Christmas tree will leave your guests thinking it is a real tree for all seasons. This is partly thanks to it PVC needles that bend and get back into shape. This makes it feel like real leaves and looking ever fresh. It contains more than two thousand branch tips, and to say the least, that is quite a huge number on its 6.5-foot height and a 53-inch base. This tree looks beautiful when the user follows the well-detailed manual included. Although it takes some time to set it up, the end results are worth it. Cotton gloves are included to help you handle the artificial tree. A storage bag is included to put the tree in when not in use. It will take some doing to get a tree of this stature at this price. Its pencil shape makes it wonderful for confined spaces in term of the area. It is so easy to set up and take down this tree. When you are done with the holidays, simply detach its components and store it in the box it came in with. When setting it up, it is best to be patient to set all the twigs and branches in place and you are done with the process, you and your guests will love the look of this tree. 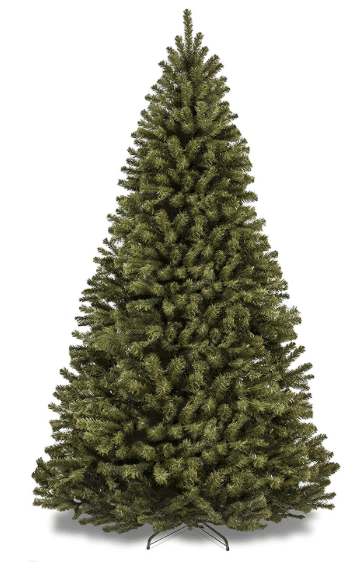 This artificial tree is durable and lasts for many seasons. 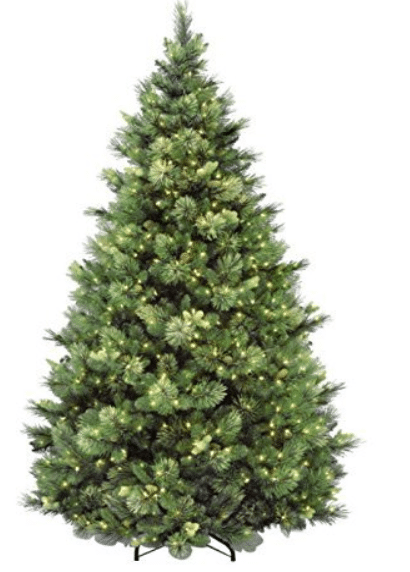 Artificial Christmas Tree is so good you want to buy it again, even when you do not have to. 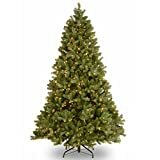 This artificial tree is packed in three different sections for easy maneuverability. The tree stand included has an eye screw help you set up the tree perpendicularly. We are hard-pressed to find a kid that does not fall in love with this tree from National Tree. This tree is easy to set up and take down. With its 7.5 foot height, the North Valley stands tall and proud among its peers. It is difficult to distinguish it from a real tree at first glance. However, who takes a close up of a tree, with a microscope to see if it is real. 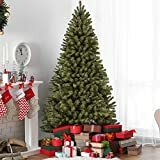 This artificial tree takes some time to set it up, by starting at the bottom, patiently sprucing up in a screw-like motion, and adding two more stacks on top, you will have yourself a wonderful artificial Christmas tree. With over 1300 branch tips, it looks authentic. For a long time, your guests will keep on wondering how you get a top-notch tree year in year out. This tree is fire resistant. The best things about this tree are its 650 lights on the branches and branch tips that feel real to the touch. We have come across some variants with these same specifications or worse that set you back at even double this trees price. Therefore there is no basis in our view when one says it is expensive, we say it is cheap. Needless to say, this is a great achievement from National Tree Company. The 650 clear lights are a huge bonus. You just have to set Christmas Tree in place and plug it into the power socket. You do not necessarily have to buy more decorations to make it look like a Christmas tree, it looks good on its own. Has natural looking color on the leaves. Each individual light has a safety tab to protect them while moving. 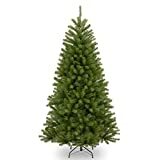 You can add this inexpensive and beautifully made artificial Christmas tree to your collection. Its branches yearn for the heaviest of decorations when you set them up. Of course, this is after being patient enough to spruce it up. It has over 1300 tips, and when you consider its height and width, this is quite a huge number. 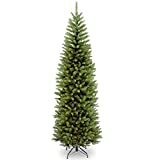 This is a striking conical artificial tree at an amazing price. Easy to follow and understand manual is included. Comes with a firm metal stand to support the tree. You can probably tell by now, we really do love the National Tree Company. The reason for this is simple.They have over the years, created wonderful artificial Christmas trees. They really do know what they do, and it is only fair we do give credit where it’s due. However, it narrowly misses the number one spot. Now looking at this specific tree, it comes with green flocking on its pinecones to make it look real. The 750 clear lights are its most outstanding feature. With it, you do not need extra decorations to enjoy a bright Christmas. When a light is spoilt, the other lights continue to work without interference. There are extra light bulbs and fuses in the package. 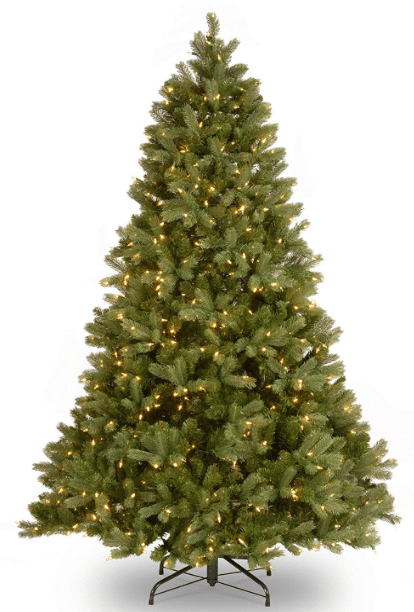 Finally, the first position goes to none other than the Best Choice Products artificial Christmas tree. We chose this mainly due to its very low price. With this artificial Christmas tree, it does not mean cheap is expensive. It comes with a sturdy metal base that even on its own pushes the manufacturer’s wallet a lot. We just do not know how they managed to deliver this tree at that price. 100 tips on its 6-foot long body create an illusion of reality. This tree is great for other occasions too. Split three times for easy assembly, disassembly, or storage. Easy to follow instructions are included in the package. Size: Ensure you find a tree that fits the place you want it to adequately. You do not have to go gang ho and buy a humongous tree that will feel squeezed or a small one that will not catch the eye. 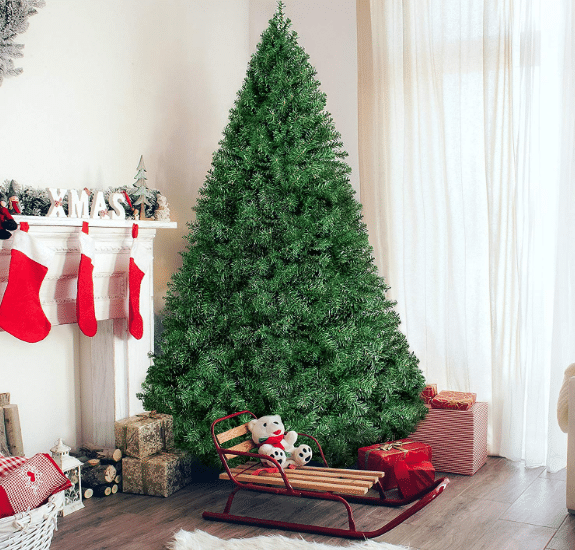 Measure the width and height of where you want to set up the Christmas tree, and get one that fits seamlessly into that space. 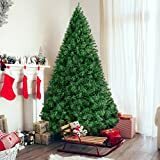 Style: Some of the artificial Christmas trees in this review come with added enhancements to spruce up your festive moods. We are also aware of some overhyped products on the market. However, the prices of the trees in this review do tally with what is on offer. So do not be afraid to spend that extra buck if you believe it is worth it. Tips: this is where the bosses of the artificial trees set themselves apart. A higher number of tips generally means better quality of the artificial Christmas tree. In other words, this will provide the tree with a more authentic feel and look. Low maintenance: Unlike a real one, you will not have to clear out broken leaves, water it, wash the mud from the surface, and constantly prune an artificial tree. This is what makes these trees advantageously low maintenance. Hypoallergenic: there are some types of trees that can prove to be detrimental to one’s health. With this kind of trees, all people can enjoy the festive mood without fear of falling sick or allergies. Colorful and vibrant: A real tree withers when pruned out of its natural environment. This is normal, but with an artificial Christmas tree, your tree will be evergreen and looking fresh for many years. Save the environment: there have been many talks about how cutting down a tree messes up the environment. From the ecosystem to the ozone layer. You will be playing a part in taking eco-friendly measures to better the environment. 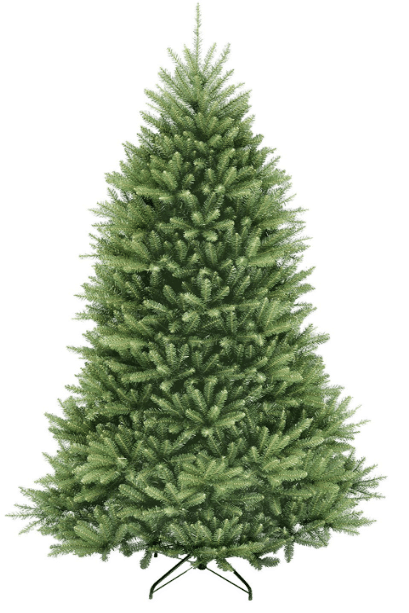 With all that said, lets now look into the best of best artificial Christmas trees the market has in store for you at this point in time. All factors considered, an artificial Christmas tree is really the best way to go. As you can see, it is not even nearly as expensive as taking down a real tree. Not to mention the other factors we mentioned at the start. After coming to terms with these facts, the best artificial tree for you is among one of the ones in this review. We have covered a wide range of factors, even considered value for money no matter how cheap they are. It is only fitting you choose a centerpiece of your festivities in the right way. You can also decorate these artificial trees just like real ones.